Surrey Satellite Technology Ltd. (SSTL) and In-Space Missions Limited (In-Space) have revealed an opportunity for an ultra-low cost ride to Low Earth Orbit (LEO). The on orbit demonstration Faraday missions, named in honor of Michael Faraday, one of Britain’s greatest experimentalists and scientific communicators, will offer ultra-low cost prices for a ride to LEO starting at $12,000. The Faraday satellite platforms will be designed and manufactured by SSTL, making use of their robust space design approach, with In-Space managing the payload interface and providing customers with expert support for design, test and service exploitation. The Farraday Mission platform. Image is courtesy of SSTL. 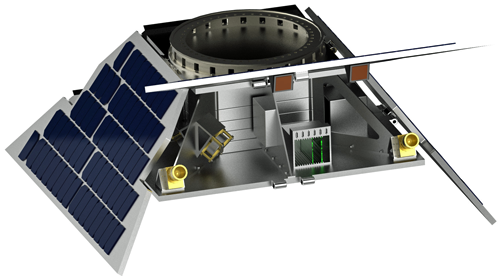 Sized from 12U to 150 kg, the Faraday missions have been designed to support a range of payload interfaces, including a simple USB interface, offering customers a streamlined test and integration campaign. The inaugural mission will provide a six to twelve month qualification and demonstration phase for on-board payloads, followed by a 5 year early service exploitation phase for at least one payload. The call for payload opportunities on the first Faraday mission is now open and is hosted on a dedicated website at www.faradaymission.space. 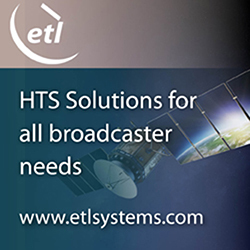 SSTL and ISML are both exhibiting at the SmallSats Conference in Utah: In-Space is located at Booth #208T and SSTL is located at Booth #21 and #22.